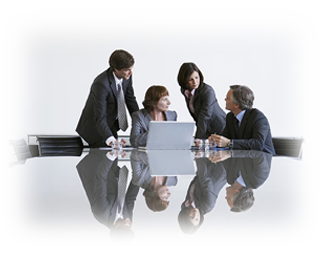 We are a firm of specialist small business accountants and advisors. We aim to be the friendly face of the tax and accountancy profession offering a range of services that small businesses need. Our suite of tax and accountingservices includes all that small businesses need, for start-ups or for those in the growth stage. Starting with basic business plan preparation to offering specialist technical advice on accounting and tax, weoffer our services as a bundle or individually. Bundled services comprehensively cover all the small business compliance needs in their entirety. Because we are focused on small businesses our services can be quite cost-effective as well. Accounting: As small business accountants we offer a range of accounting services from basic bookkeeping and management accounting services to preparation ofyear-end statutory accounts and audit ready accounts. We aim to strengthen the accounting controls and implement a robust internal management accounting system whilst meeting all the statutory accounting requirements. We also provide expert advice on technical areas of accounting for medium sized businesses. Engaging us as your small business accountant is fairly easy: just fill in the form appearing on the right side, and we will get started! Tax: We are small business tax advisors as well. We deal with all areas of tax that are relevant to small businesses. These include corporation tax for limited companies, income tax for partnerships, individuals and self-employed persons, capital gains tax, and value added tax. Our basic tax services normally cover compliance services like year-end computation of tax payable, filing tax returns and liaising with HM Revenue and Customs on clients’ behalf. They could include transaction-specific advice, advice on VAT-registration and the impact of VAT on specific transactions, taking advantage of tax planning opportunities, and even advice on tax reliefs like entrepreneurs’ relief, enterprise investment scheme and the SEIS. We are also equipped to provide comprehensive tax advice on specific situations, e.g. buying or selling a business, to ensure peace of mind for small businesses. Start-ups: Guidance on the initial structuring of your business with advice on tax, accounting and compliance to get you off the ground. Finance Director Services:: Entrepreneurial part time FD services to help small businesses that cannot afford the services of a full time finance director. Business Plan: Professional help for small businesses to draw up and implement a realistic small business plan with practical advice on strategies, key value drivers and establishing performance indicators. Payroll: Efficient and cost effective payroll services and PAYE compliance services to help small businesses free more resources for value creation; services mostly delivered online. We also offer tailored industry specific solutions aimed at small businesses that operate as investment banking boutiques, financial services companies, property businesses, recruitment consultants, professionals like lawyers and architects, manufacturing companies, service companies, and other small-to-medium sized enterprises. Please contact us for a free initial business health check and free initial consultation.